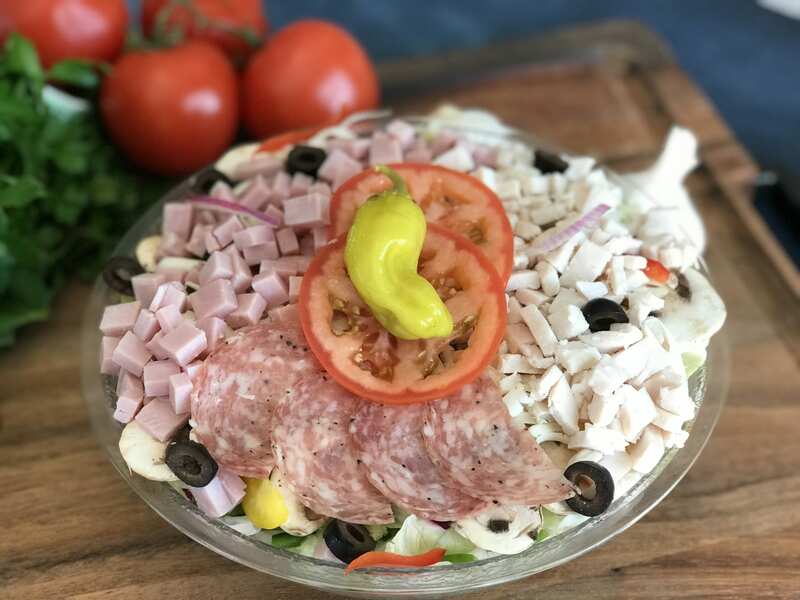 Crisp lettuce, salami, turkey, ham, mushrooms, olives, bell peppers, red onions, tomatoes, mozzarella cheese and topped off with perpperoncinis. We recommend Italian dressing, but its just as good with our other dressings. One of my favorite salads. I dont normally like ranch but I love yours. Yum yum.